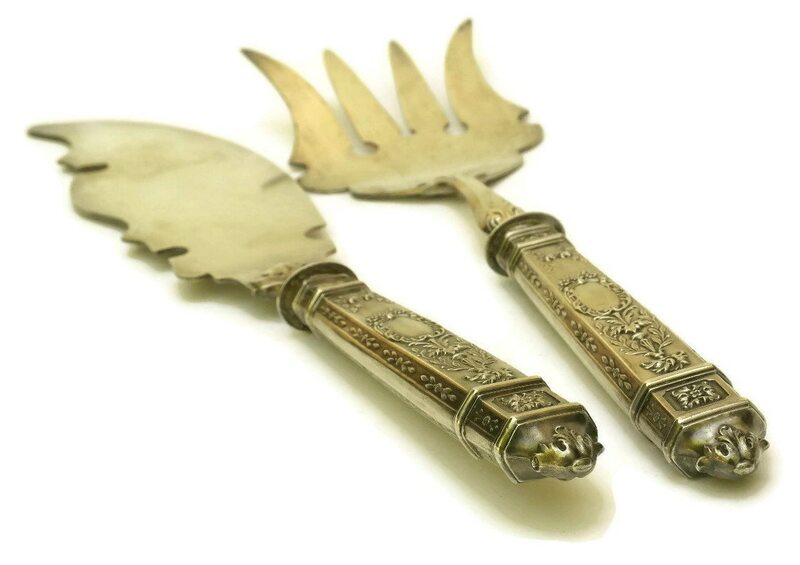 A magnificent French antique silver fish server set dating to the 19th century. 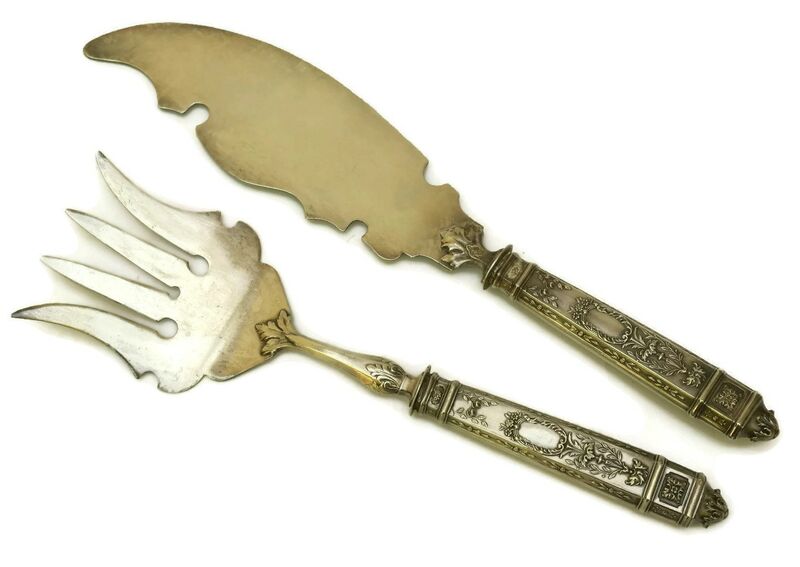 The boxed set includes a large serving knife and fork that have been created in the ornate Louis XVI style. 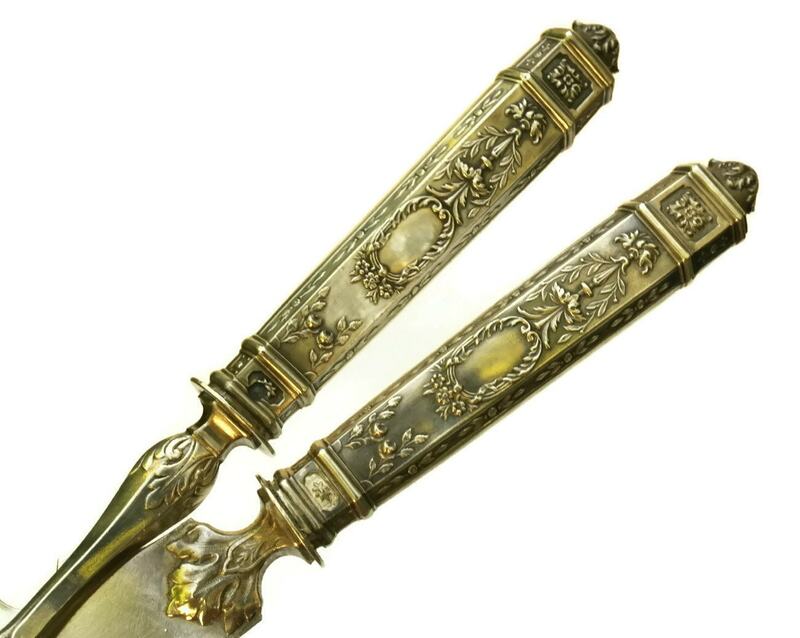 The blade of the knife and back of the fork are both beautifully engraved with swimming fish designs. 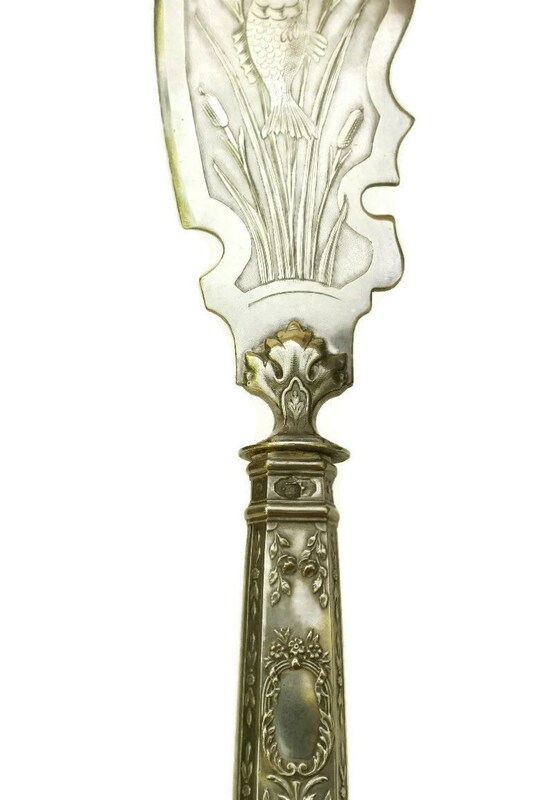 The handles feature classic French patterns with ribbons and bows. 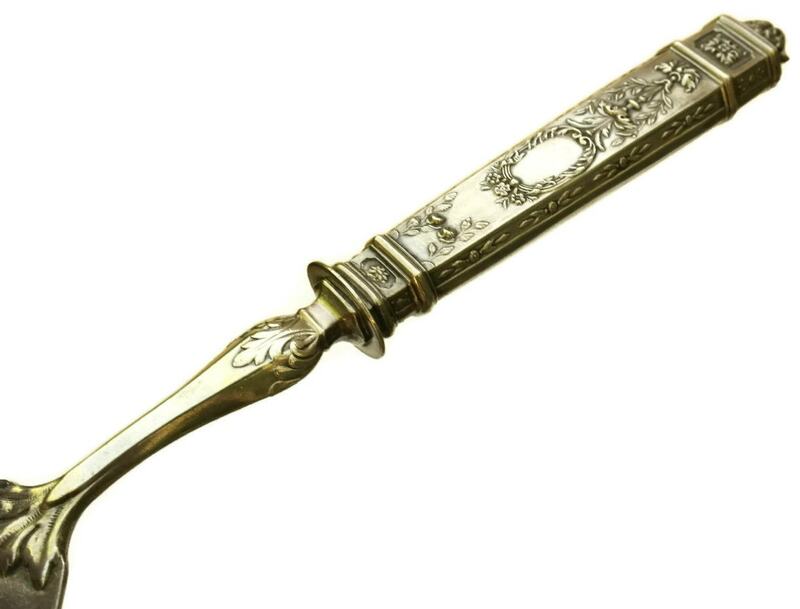 The handles have been stamped with the French Minerva sterling silver hallmark and the tops of the knife and fork are silver plated. 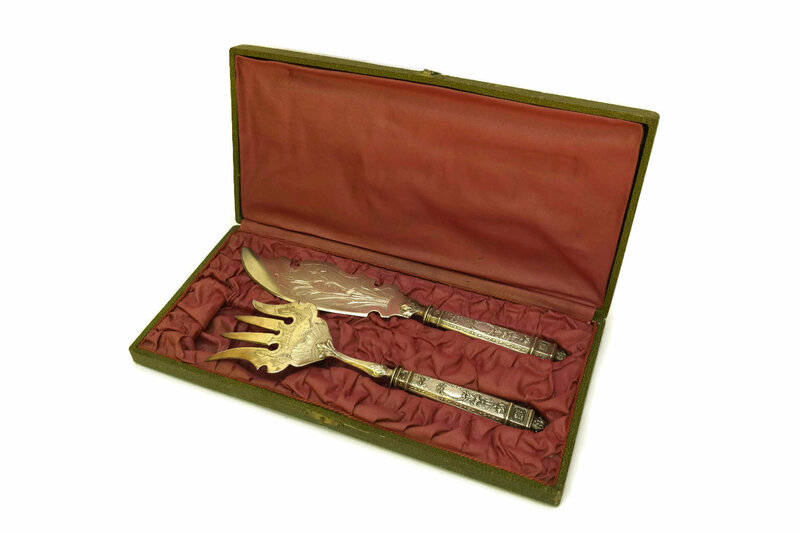 The silverware comes presented in the original box. 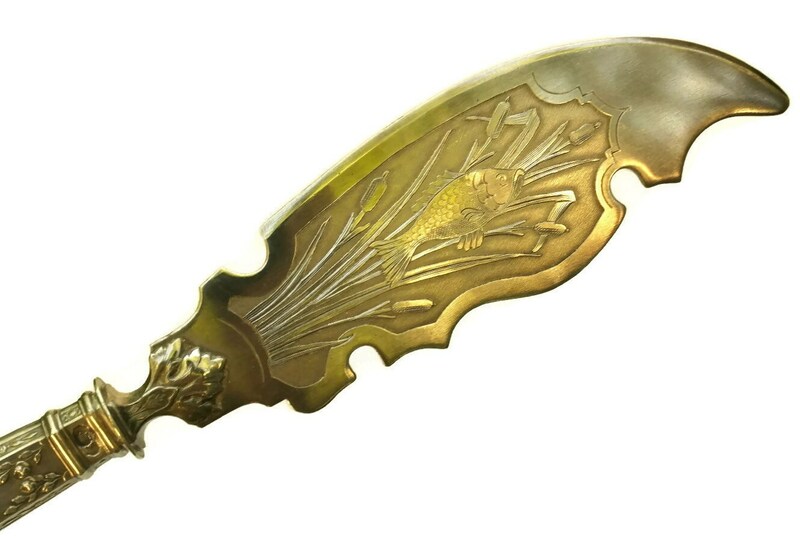 Knife: 11" long (27,5 cm). 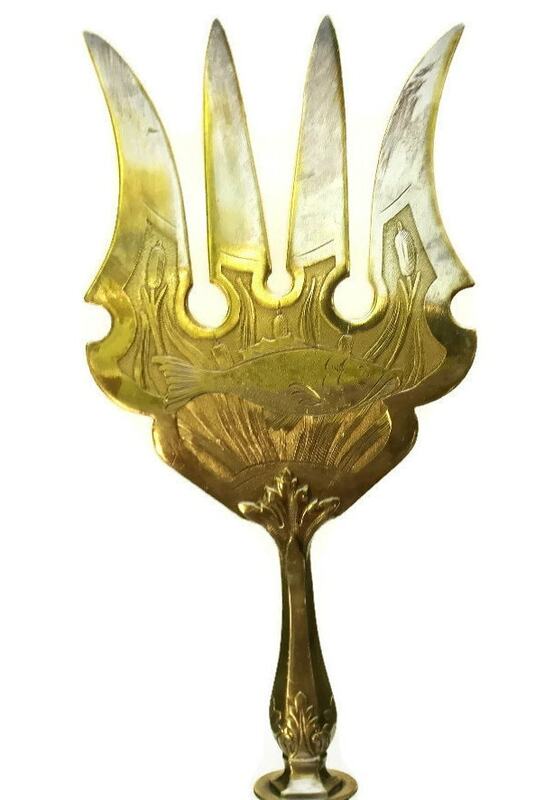 Fork: 10" long (25 cm). 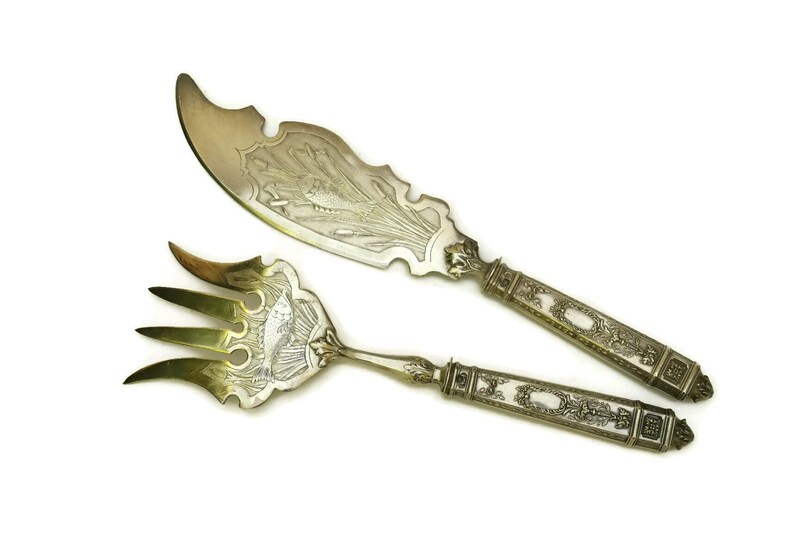 The fish set is in very good antique condition with light wear. 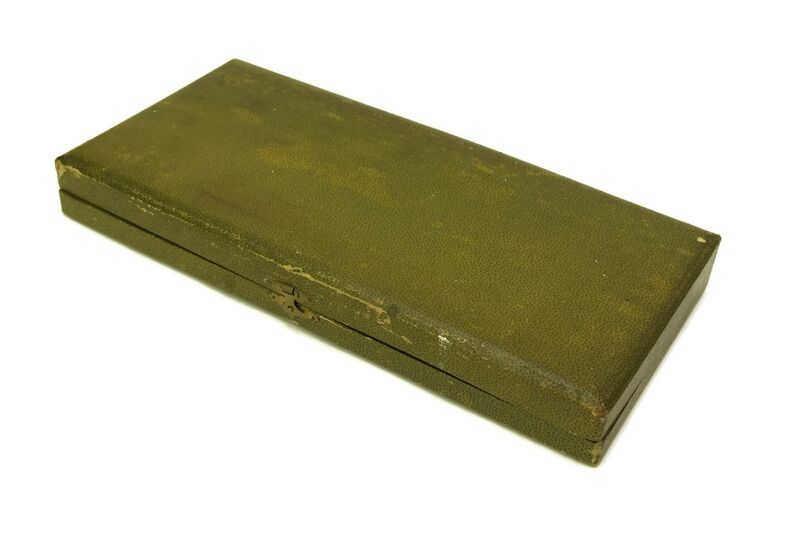 The box is worn with signs of age.